Hair Building, Cleansing formulae for greater volume, substance and thickness. Therapeutic Pack for Hair Regrowth.An original formula. A unique combination of herbs from ancient Ayurveda which promote hair growth. 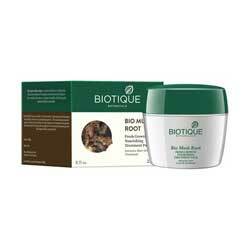 Contains Musk Root, Bael, Liquorice and Nutmeg.It help to rejuvenate the hair and leave it in a superb condition. Invigorates and revitalises the scalp and adds body to hair. It immerses hair and scalp in natural minerals and organic riches and leaves even dry or chemically treated hair luxuriously full and alive. Apply appropriate amount on dry scalp by mixing in water or curd half an hour before washing. Can also be used as hair conditioner after shampoo. Use at least once a week.